It’s here. The beautiful new cover for Mindy Marin’s second installment in the Ceaseless Trilogy. Created by Alex Marin from a picture taken at the Grand Canyon and combined with a photo of an Eagle about to take flight by photographer Tony Hisgett from Birmingham, UK, the cover represents the journey that Elijah must make in order for he and Ember to have their true love exist in this new lifetime. 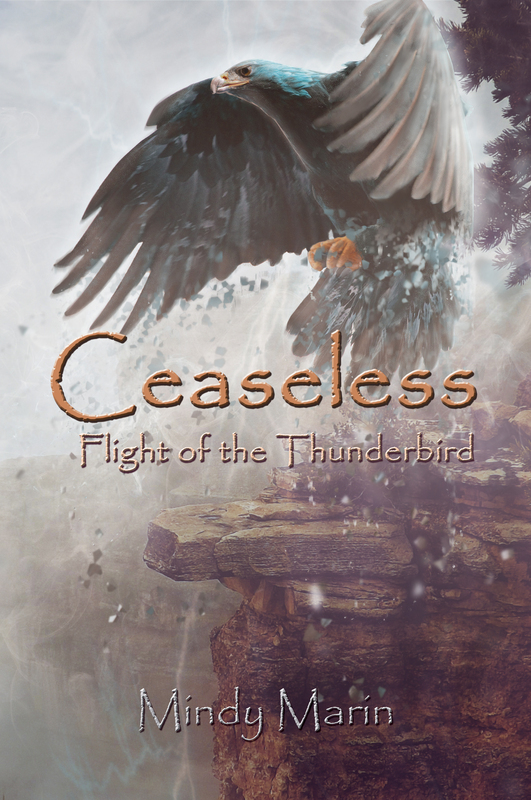 Ceaseless: Flight of the Thunderbird will be available in late Fall 2015. This entry was tagged Ceaseless, Flight of the Thunderbird, Mindy Marin. Bookmark the permalink.